It's Beginning to Look Like Christmas in Seattle! Holiday shopping is definetly on the agenda and enjoying a bite to eat in one of many restaurants will be a huge decision as there are so many choices. But a stop at the Sheraton Hotel to check out the Gingerbread Village will get you in the holiday spirit. Seattle’s top architecture firms and culinary chefs from around the city bring magic to the world of gingerbread houses and it’s well worth the visit. 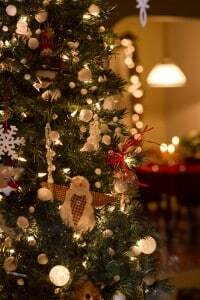 From there stop in at The Fairmont Olympic Hotel to see the Festival of Trees decorated oh so beautiful and while there also visit the Teddy Bear Suite which is a great place for family photos. The next stop is the Holiday Carousel at Westlake Park with illuminated whirling and twirling wooden horses and a visit and photo with Santa Clause at Macy’s. The lights of the city after sunset are spectacular with little white lights wrapped around trees and beautifully decorated storefronts. Visiting downtown Seattle during the holiday season is one you will never forget!